At Astons Estates, we are dedicated to delivering a pro-active service for landlords letting in Milton Keynes, Newport Pagnell and surrounding areas by combining strategic marketing techniques and modern technology, to ensure properties are let quickly to suitable tenants. 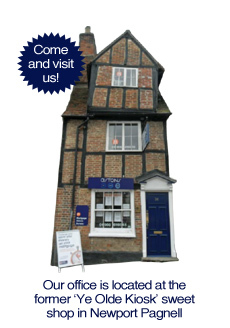 We promote properties in-branch, on Rightmove and on our own website. We maintain an up-to-date database detailing the full requirements of customers enabling our team to accurately match properties to suitable tenants, eliminating time wasters and speeding up the letting process. Our team communicates with our tenant database immediately on instruction of a new property, and prior to the end of the lease term, trying to reduce un-occupied periods as much as possible. To book your Valuation please call Astons Estates on 01908 616636 or email us on info@astons-estates.co.uk. We offer a very competitive and transparent fee structure. Our Letting & Management Service is 12% Inc VAT (10% +VAT) of the monthly rent achieved. Inventory can be arranged at a cost of between £55 to £115 Inc vat dependent on size of property and furnished or unfurnished. Obtaining estimates and supervision of major works -10% of cost of work over £500. Duplication and testing of extra keys £12 Inc vat plus costs. We are also able to arrange Energy Performance Certificates (EPC) at a cost of £65 Inc VAT Legionella Risk Assessments at a cost of £65 Inc VAT and Landlord Gas Safety certificates at a cost of £48 Inc VAT. Where landlords prefer to arrange these themselves no charge is made as long as the certificates are provided to us by the required date.